You've caught your kid in a lie, so now what? 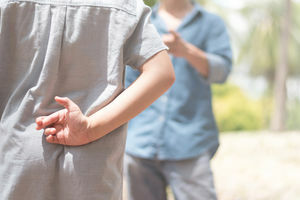 Here's how to tell if your kid is lying, how to handle difficult situations, and ways to get to the underlying problem. Good news if your kid's pants are on a fire--a new study says they probably have the life skills they'll need to be successful.